Cradle Kalamazoo is a multi-agency initiative that consists of 30 partner organizations. Below is a list of resources compiled with the help of our partners. For additional support or questions, call 269-888-KIDS (5437). Hay servicios en español. Information about the Cradle Kalamazoo Public Portal is coming soon. Is what you need not listed here? Call 211 for answers and information. Bronson Breast Feeding Center: At Bronson they know that breastfeeding can have its ups and downs, especially in the beginning. That is why the Bronson BirthPlace in Kalamazoo and Battle Creek provides support through their Breastfeeding Centers. These services are available to everyone in the community as well as for those who deliver at Bronson. For more information about services and contact information, follow this link or call 269-341-8849. Borgess Hospital/Ascension offers services to those who have delivered at Borgess. For more information, call 269-226-8135. Seeds for Success: A home based program that offers FREE breastfeeding and lactation support to anyone in Kalamazoo County. For more information: call Community Healing Center 269-343-1651, or call KRESA 269-373-5042, or visit them online. Twenty Hands: This Maternal Infant Health Program has Board Certified Lactation Consultants who offer breast feeding support and guidance during pregnancy and postpartum. Learn more about eligibility requirements and how to enroll by going to their Facebook Page or call 269-459-8091. Women, Infants, and Children (WIC): WIC is offered through the Kalamazoo County Health and Community Services as well as the Family Health Center. Both locations have Board Certified Lactation Consultants available for those who qualify for their programming. For more information about WIC at the Family Health Center, visit their website or call 269-488-3732. For more information about WIC at Kalamazoo County Health and Community Services, visit their website or call 269-373-5002. Eliminating Racism & Claiming/Celebrating Equity (ERACCE) Trainings: ERACCE is dedicated to organizing and facilitating antiracism workshops, providing mentoring, and transferring knowledge to individuals and institutions interested in resisting and dismantling structural racism and other forms of oppression. ERACCE creates conditions in which individuals understand, integrate, and act upon antiracist history, language, analysis, and practice, and engage in processes of transformative work within their institution(s). To find and register for an ERACCE Training, follow this link. YWCA Kalamazoo Eliminating Racism Training: This is a one full-day workshop. Using powerful videos, open and honest dialogue, and interactive learning experiences, YWCA Eliminating Racism creates awareness, builds personal and collective responsibility, and provides skills to confront racism in our lives and throughout our community. Register online by following this link. Project Implicit: Project Implicit is a non-profit organization and international collaboration between researchers who are interested in implicit social cognition – thoughts and feelings outside of conscious awareness and control. The goal of the organization is to educate the public about hidden biases and to provide a “virtual laboratory” for collecting data on the Internet. To take the Implicit Bias test by following this link. Tools for Assessing Cultural Competency: There are numerous assessment tools available for evaluating cultural competence in clinical, training, and organizational settings. This appendix examines three resource areas: counselor self-assessment tools, guidelines and assessment tools to implement and evaluate culturally responsive services within treatment programs and organizations, and forms addressing client satisfaction with and feedback about culturally responsive services. Follow this link to view the list. University of Michigan Program for Multicultural Health: The Program for Multicultural Health (PMCH), a unit of Community Health Services at Michigan Medicine, is committed to reducing health disparities by providing culturally appropriate and culturally sensitive health promotion, education, and research programs for surrounding communities. To view their resource page, follow this link. Miriam Zoila Pérez: “How Racism Harms Pregnant Women – and What Can Help” Racism is making people sick — especially black women and babies, says Miriam Zoila Pérez. The doula turned journalist explores the relationship between race, class and illness and tells us about a radically compassionate prenatal care program that can buffer pregnant women from the stress that people of color face every day. Rootead: Rootead is a 501(c)3 organization in Kalamazoo, MI. Their mission is: Birthing Justice & Body Awareness. They offer doula services for birth and postpartum. To set up a consultation with a Doula, please complete their Doula Inquiry form here or call 269-720-9200. Call 269-888-KIDS (5437) for support in finding the right program for you! Someone will help answer your questions and enroll you in one of the following programs. HEALTHY BABIES HEALTHY START: A family support program for pregnant women and their families. Our goal is to provide you with one-on-one support during your pregnancy. Services are offered to families that live within the 49001, 49006, 49007, 49048 zip codes. By working together, we can help you have a healthy pregnancy and give you continued support until your child turns two! For more information: call 269-373-5279 or visit us online. Hay servicios en español. HEALTHY FAMILIES AMERICA: A support program for families, pregnant women and infants to age 3. All expectant parents and parents of newborns in Kalamazoo County are eligible to participate in the Healthy Families America assessment. Families will receive parent education as well as support in helping to overcome stress and trauma. For more information: call 269-373-5042, email dmpric@kalcounty.com, or visit us online. KRESA EARLY ON: A support program for families, with a developmentally delayed child to age 3. Kresa Early On is a network of services for families who have a child, birth to three years of age, with an identified condition, a developmental delay, or are at risk of a developmental delay. At age three, the Early ON staff person will assist the family in transitioning to the community services that will meet their needs. For more information: call 269-250-9640 or visit us online. NURSE FAMILY PARTNERSHIP: A support program for WIC or Medicaid eligible pregnant women having their first baby. Nurse-Family Partnership Is a FREE program for women having their first baby. Any woman is eligible who is: Pregnant with her first child, WIC or Medicaid eligible, and lives in Kalamazoo County.For more information: call 269-373-5067 or visit us online. SAVIOR’S MATERNAL INFANT HEALTH PROGRAM: A support program for Medicaid eligible pregnant women and infants to age 1. Savior’s Maternal Infant Health Program is a home visiting program for Medicaid eligible pregnant women and infants under one year of age. Our goal is healthy pregnancies, good birth outcomes, and healthy infants. For more information: call 269-388-4778 or visit us online. SEEDS FOR SUCCESS: A home based visiting program for pregnant women and families in Kalamazoo County with children to age 3. The Seeds for Success program focus is on parent child interaction, developmental centered parenting, and family wellbeing. ELIGIBILITY REQUIREMENTS: 1. Reside in Kalamazoo County 2. Pregnant Women or families with children between 0-3 (please contact us for availability if you have children 3-5). For more information: call Community Healing Center 269-343-1651, or call KRESA 269-373-5042, or visit us online. TWENTY HANDS: A Maternal Infant Health Program that provides support to low income pregnant women and infants up to age one with Medicaid benefits. Twenty Hands is a home visitation program of registered nurses, social workers, and a lactation consultant. Our goal is building relationships and healthy birth outcomes. We support women through education and providing referrals to resources in the county. For more information: call 269-459-8091 or visit us online. YWCA KALAMAZOO: YWCA Kalamazoo Maternal Infant Health Program (MIHP) is a home visiting program for parents with Medicaid insurance in Kalamazoo County that provides care coordination services to promote healthy pregnancies, successful birth outcomes, and healthy infant development for those who are pregnant or with children ages 0-1. YWCA Kalamazoo Women and Infant Supportive Help (WISH) is a personal visitation program that provides ongoing, positive support that keeps parents and families engaged after the pregnancy and empowers participants to make decisions about their own health and the health of their children ages 0-2 years. Both YWCA MIHP and WISH welcome families of any type or orientation. For more information: call 269-345-5595, email wish@ywcakalamazoo.org, email mihp@ywcakalamazoo.org, or visit us online. Do you need a pregnancy test? Contact the Family Health Center online or call 269-349-2641. Contact Planned Parenthood online or call 269-372-1200. Birth Control Options: Birth control allows one to prevent and/or plan one’s pregnancy. Go to Planned Parenthood or Bedsider Birth Control to learn more about birth control options that fit your lifestyle and beliefs. Pregnancy and Birth Control Live Chat: Not sure which birth control option is best for your lifestyle and beliefs? Do you have a question about the accuracy of your pregnancy test? Worried? Live chat with a Planned Parenthood representative by following this link. 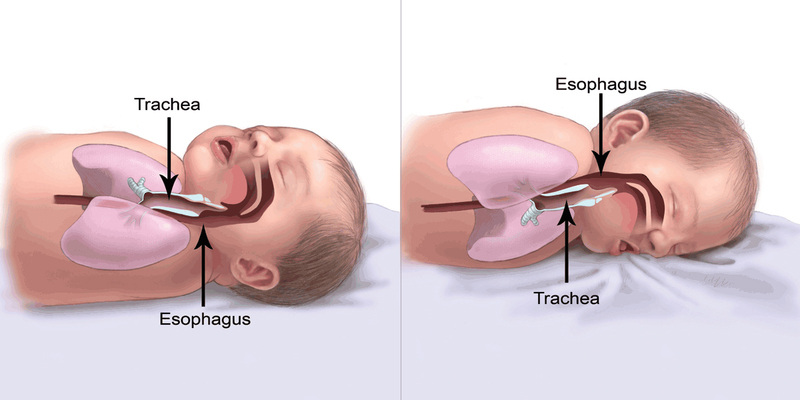 How Pregnancy Happens: View this video to learn how pregnancy happens. 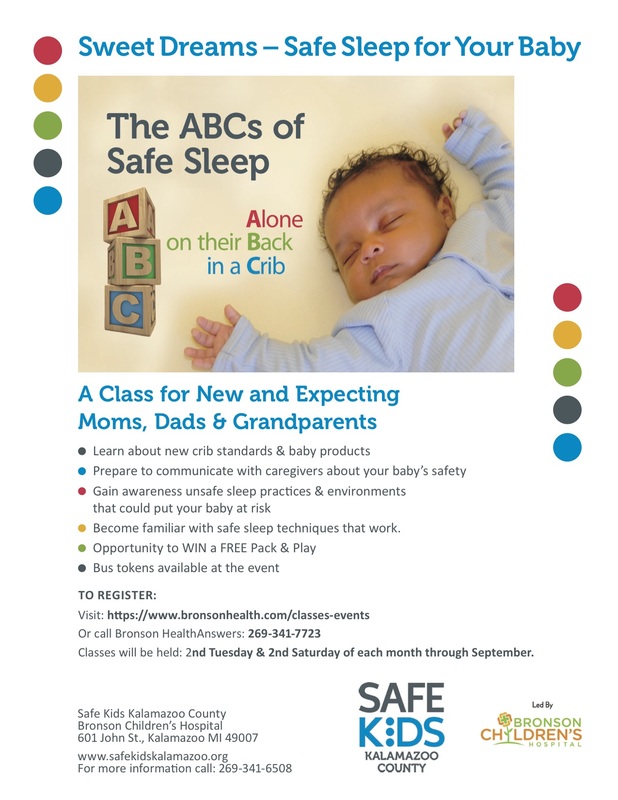 Sweet Dreams – Safe Sleep for Your Baby: If you are in need of a safe space for your baby to sleep or if you want to learn more about safe sleep, Sweet Dreams is a class for new and expectant parents and grandparents. 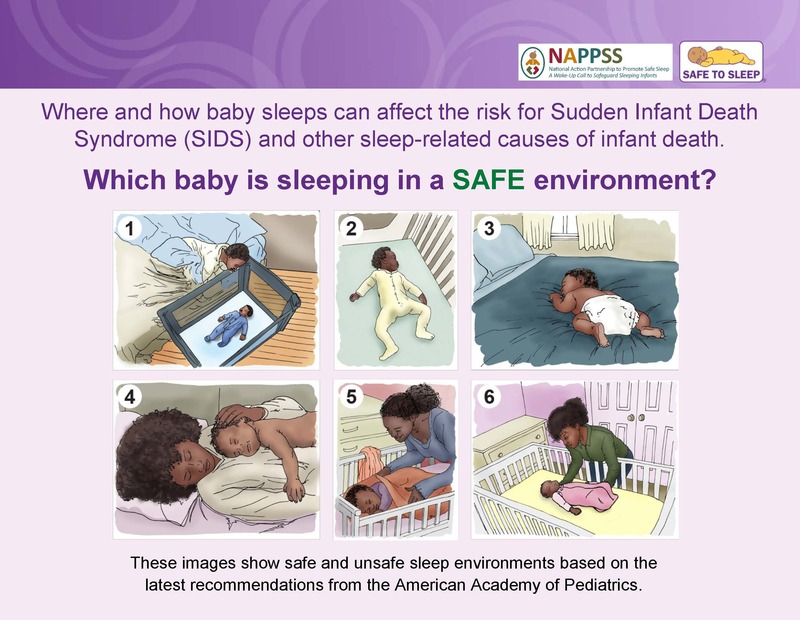 Learn about the risks related to sleep environments for babies. 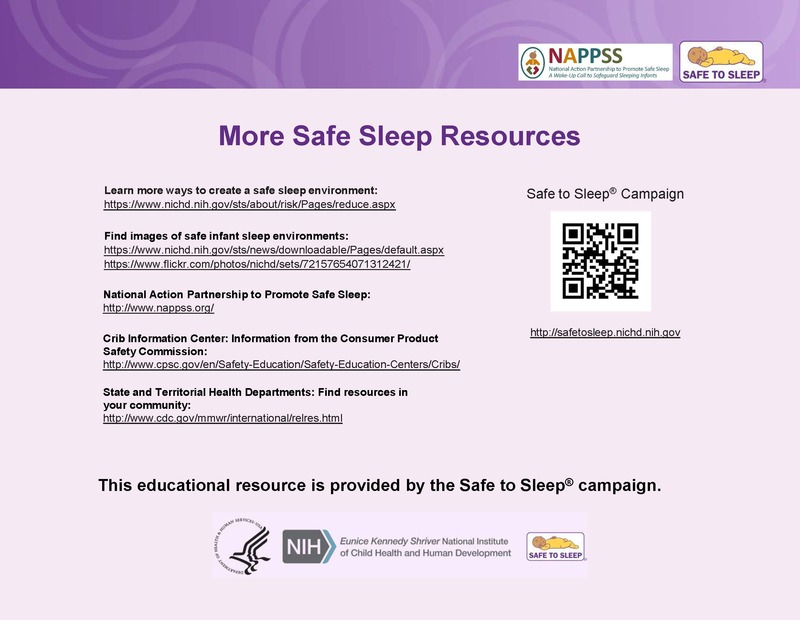 Safe sleep equipment is available based on need, while supplies last. Register online by following this link. 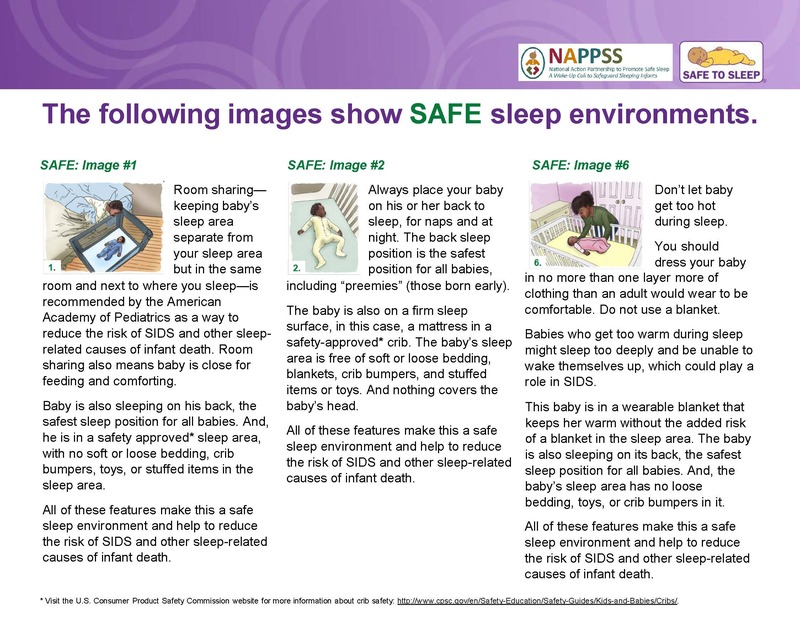 Safe Sleep ABCs: babies should sleep Alone, on their Backs, and in a Crib. 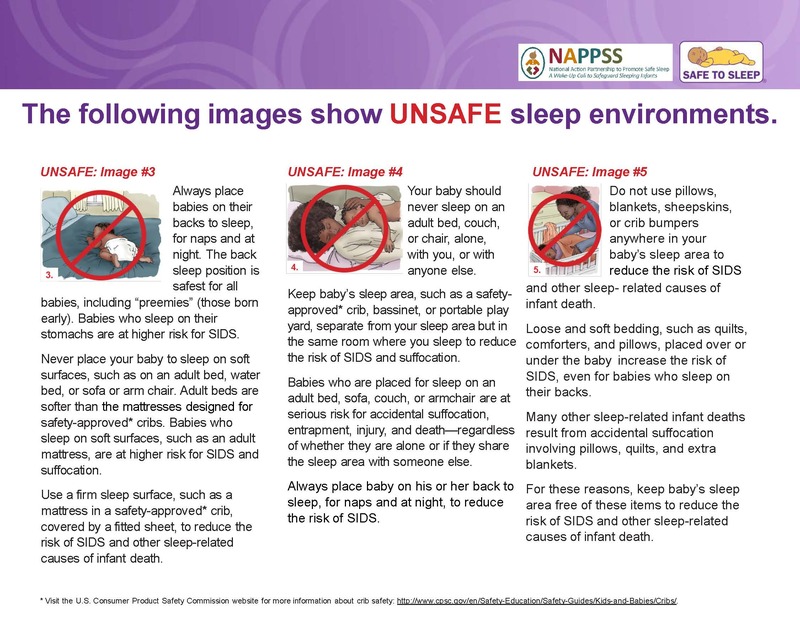 Always put your baby to sleep on his back on a flat, firm surface, like a crib mattress covered with a tightly fitted sheet. Use only the mattress made for your baby’s crib. The mattress should fit snugly in the crib so there are no spaces between the mattress and the crib frame. The mattress shape should stay firm even when covered with a tightly fitted sheet or mattress cover. Keep cribs empty of bumpers, pads, toys, and blankets. St. Luke’s Diaper Bank: St. Luke’s Diaper Bank was created to eliminate diaper need in Kalamazoo, where more than 1 in 3 families struggle to provide diapers for their children. For more information, visit their website or email info@stlukesdiaperbank.org. Text4Baby: There are a lot of things to remember when you’re pregnant or a new mom. Text4baby makes it easy to get important information, and it’s free. Women who text BABY (or BEBE for Spanish) to 511411 receive free text messages three times per week, timed to their due date or their baby’s birth date, through pregnancy and up until the baby’s first birthday. Text4baby sends personalized messages directly to you, and the texts have information you can trust because they are developed by experts from all over the country. There is also an app that provides additional information about baby’s development, pregnancy, childcare tips, and more. Sign-up for text messages here. List of Bereavement Groups & Private Counselors: compiled list of bereavement services. Share – Pregnancy & Infant Loss Support Group at Bronson: Share is a monthly meeting where families have a safe setting to share about the loss of their child with those who have similar experiences with this type of grief. This group meets the third Wednesday of each month. For more information about bereavement services at Bronson, follow this link, call 269-341-6639, or send an email to bereavement@bronsonhg.org. Baby Bump Peer Support Group: This peer support group is for all families in Kalamazoo County. This group offers fun, hands-on activities, education on pre and postnatal topics, engages parents and caretakers with relevant subjects, and offers one-on-one support to those who attend! The group uses knowledgeable specialists from all over to demonstrate various skills and educational themes that will assist parents in how to teach, bond, and interact with their children. There will be child care provided for all youngsters when play groups are not scheduled, so please feel free to bring your children. For additional information, please call Shanika at (269) 345-5595 or email slucas@ywcakalamazoo.org. Healthy Babies Healthy Start – 4Dad Fatherhood Initiative: 4Dad Fatherhood Initiative is a support group that is aimed at strengthening family relationships before, during, and after the child rearing process. 4Dad offers classes every Thursday from 5:30-7:30pm in Downtown Kalamazoo at the Kalamazoo County Health & Community Services (3299 Gull Road) to RSVP contact Jacob at 269-373-5047 or email jmpinn@kalcounty.com. For more information, visit their Facebook Page. Perinatal Emotional Support Group: Kalamazoo’s Perinatal Mood Disorders Coalition offers a support group for pregnant or post-partum women that are experiencing unexpected and challenging mood changes and emotions during this time. A healthcare professional trained in perinatal support will facilitate the meetings in a safe, caring and non-judgmental environment. No registration is necessary and support persons/babies are welcome to attend with you. For more information, review their flyer. YWCA Kalamazoo : YWCA Kalamazoo is dedicated to promoting healing of survivors of domestic violence, sexual assault, and human trafficking. Victim Services provides free, one-on-one counseling and victim advocacy to sexual assault, domestic violence, and human trafficking survivors. Additionally, they offer a variety of free support groups for survivors of both domestic violence and sexual assault. These are held in English and Spanish. All groups meet at the YWCA of Kalamazoo, 353 East Michigan Avenue (unless otherwise noted). Childcare is available for ALL meetings. Contact a YWCA Advocate/Counselor to arrange for childcare. Please contact their office at 269-385-3587 or visit their website for more information. Douglas Community Association (DCA): The DCA provides trauma informed substance abuse recovery groups and outpatient therapy in addition to case management services. For more information contact 269-343-6185 or visit their website.